Our next Bridal Flower Open Day takes place in just over a month at our premises in Horndean on Saturday 28th March from 10.00 – 4.00. If you or anyone you know is planning a wedding in the coming months do pop along at anytime during the day. No appointment is necessary. 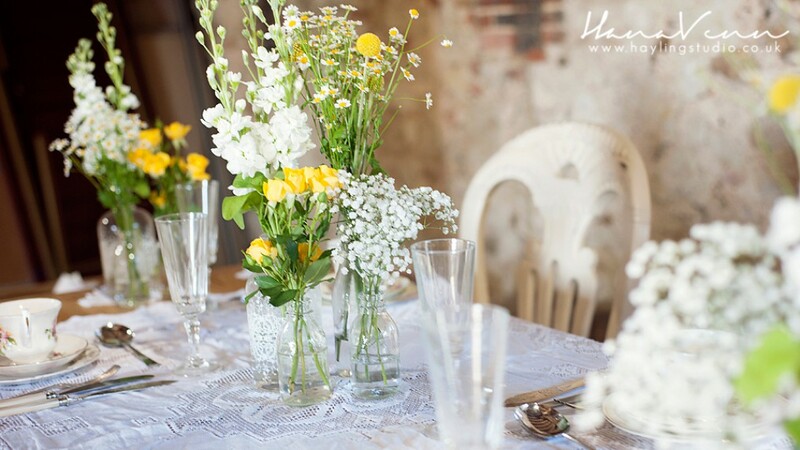 We will all be on hand to show you an extensive display of Bridal Party & Venue Arrangements plus our cold store will have a wide selection of cut flowers for you to view. 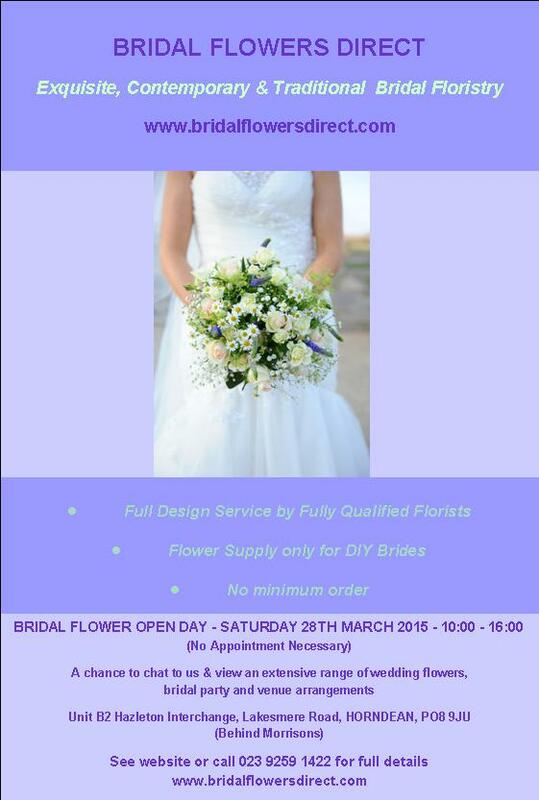 We look forward to meeting you and discussing the flowers for your wedding. We we will also be joined by the following local suppliers who will all be delighted to discuss their particular wedding services with you. Queen Bees Treats – Macarons, Meringue Kisses and all things yummy! In the midst of preparing for our Bridal Flower Open Day last week we also held another of our ‘tailor made’ workshops which came complete with cake and candles for one of the ladies who was celebrating her birthday that day . Some of the group had attended one of our Christmas workshops and had asked us to arrange a workshop covering hand tied bouquets and table arrangements with a Spring theme. The group who have now named themselves ‘The Flower Fairies’ had such an amazing time they have already asked us to lay on another workshop for them in September. Just wanted to say thank you for this afternoon we had a great afternoon of fun, and loved our tied bouquets and arrangements. Please give our thanks to Rebecca for her patience and clear instructions, she doesn’t realise what a talent at teaching she has. We are already looking forward to the next time, it’s always a pleasure coming up to see you all what a team eh ? Love Hilary and the flower fairies !! Our Bridal Flower Open Day on Saturday was incredibly well attended and we were kept busy all day speaking with Brides and their families.